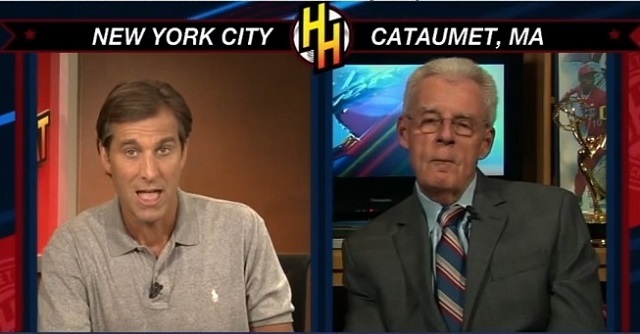 Peter Gammons appeared on the MLB Network program High Heat with Christopher Russo, and the legendary sportswriter wasn’t about to lay down for Russo and take his crap. Gammons was very combative towards Russo during the seven minute segment, burying nearly every Russo point and getting in several snarky replies. The best part had to be Gammons telling the clearly animated Russo to calm down, something that everyone that has ever heard him on radio or seen him on TV has uttered at least once. Peter Gammons still has his fastball, folks.